From our base just outside of Speyer/Hockenheim in Germany, we did a number of day trips that are easy to get to and worth the time and effort. 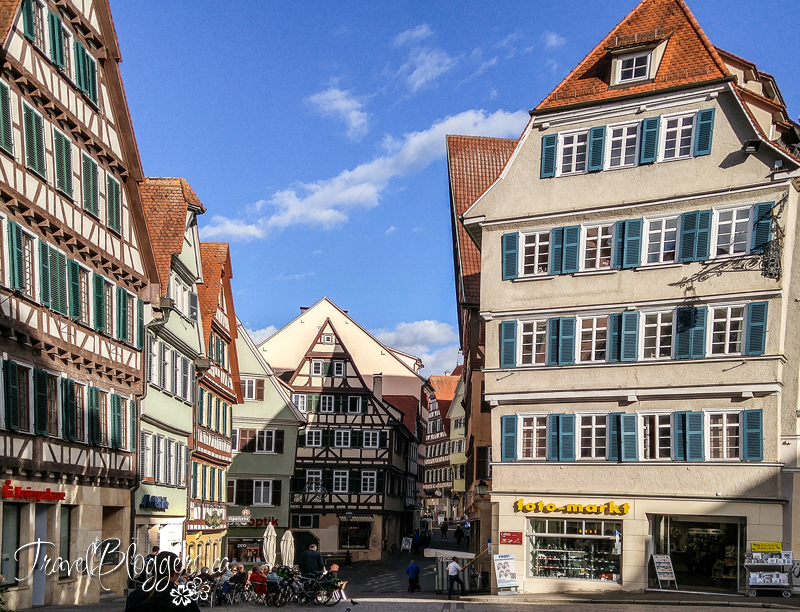 Our trip to Tübingen – just outside Stuttgart, was just over an hour-and-a-half south of our base. We combined the trip to Tübingen with a visit to beautiful Lichtenstein Castle which is close by – about 40 minutes by car, making it an ideal double adventure easily done in one day. We parked very close to the Neptunbrunnen in the large (triangular) square and just wandered from that point out along the alleys. 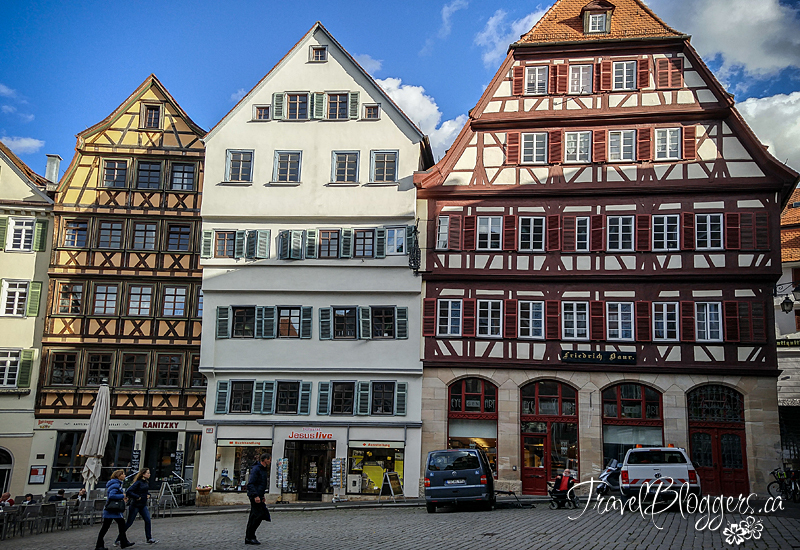 We spent well over an hour just wandering the streets, taking in the numerous timbered houses and buildings, cobbled streets and interesting shops and cafes. There are so many buildings you can easily get lost just following the various paths leading from one alley to the next. The town is very student-dominated and unfortunately, there is an abundance of ugly graffiti everywhere that gives it a bit of a seedy feeling, but at no time did we ever feel uncomfortable or out of place – everyone just walks past you like you aren’t even there. We didn’t see everything obviously, but missed out on the other interesting part we were looking for: Holderlin’s Tower (Holderlinturm). We were right beside it, but turned the wrong way!! If you don’t want to miss it – even just for pictures, here’s what to do… Park your car in the large parking garage, walk past the Tourist Information Center, over the bridge and turn left along the river – you should see it from the bridge also. We had no intention of going into the museum/building, based on the mixed reviews on TripAdvisor, but would have liked to have at least seen it on our trip… oh well. There’s plenty of parking around the town square and it’s easy to find. If you use the parking garage, walk past the Tourist information Center, over the bridge and turn left along the river. To get to the Neptunbrunnen it’s to the right (north) of the river/ Holderlin’s Tower through a couple of alleys. Next PostDecember 2018 Desktop Wallpaper Now Available!